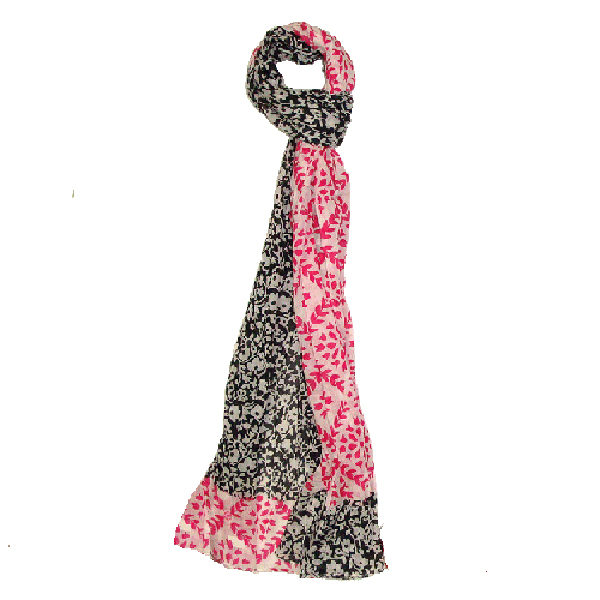 Vivante by VSA Malina double print scarf in a festive pink and black color combination. 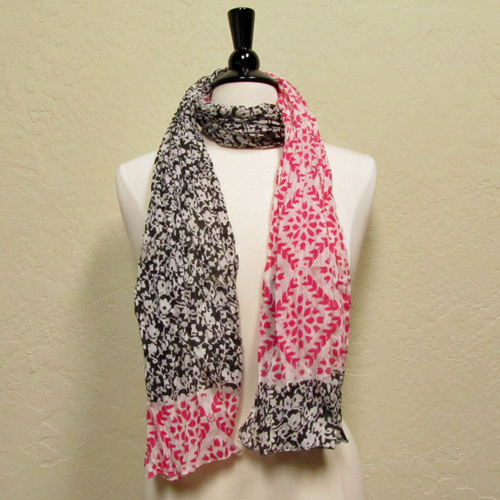 The scarf has a black and white floral pattern on one end and a pink diamond pattern on the other. 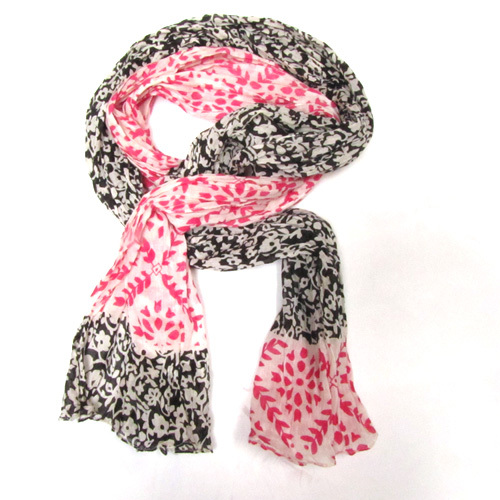 Get several looks and color variations from this scarf depending on how you tie it. Almost like having two scarves in one!